Dark, Elegant, Responsive WordPress theme. While light schemes with white and pastel colours are trending, Blackoot goes against the grain with a dark and elegant colour scheme that emphasises typography and makes colours stand out. 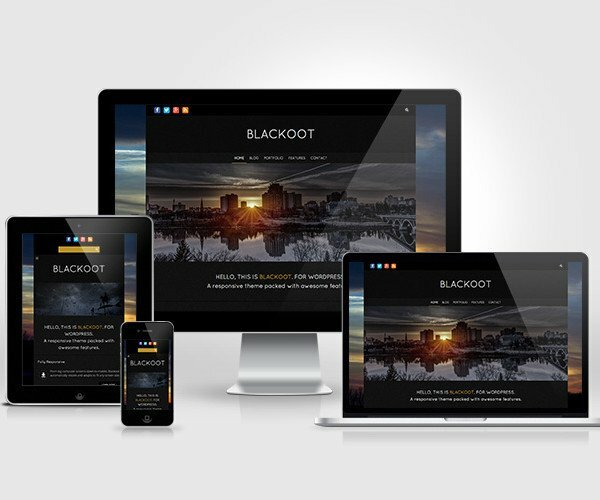 Blackoot looks good right out of the box, letting you create a beautiful and professional looking site in minutes. This theme is free and released under the GPLv2 License. The Pro version comes with a great set of awesome additional features, be sure to check it out! Download Blackoot Lite for free now!